Something that's really lacking in the young consumer IoT industry is a coherent vision that consumers can relate to. 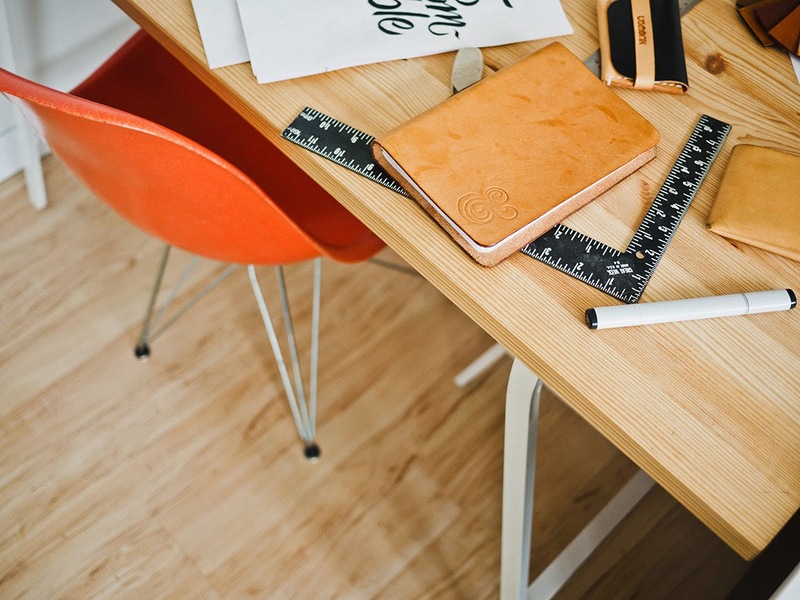 We alluded to this in our previous post "How to Choose DIY Smart Home Products". That issue is further complicated by inconsistencies in product form and function. A particular issue consumers face today when attempting to retrofit their homes with modern smart bulbs, is the reality that they must have constant power and are incompatible with dimmer switches. Turn off the light at the switch, and your "smart" bulb becomes nothing more than an expensive LED that you can no longer control. 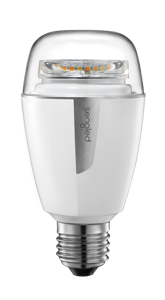 [Update] - The landscape is beginning to change with the introduction of Sengled's Element Plus and Element Touch, the first ever dimmer compatible smart bulbs. Don't turn that switch off! One of our favorite workarounds to this problem is the Lutron Connected Bulb Remote, a ZigBee connected remote that gives you a choice of mounting into a North American standard wall plate with the addition of a Lutron Pico Wallplate Bracket (PICO-WBX-ADAPT), stick it to the wall with the included adhesive or use it as a handheld remote, enabling the average consumer a tremendous amount of customized wireless light control, with little hassle and no need for an electrician. If you're competent to safely remove the old wired switch and change the wiring to the light socket so it is always energized, you can completely eliminate the issue of having to have the light switch always on or worrying that you won't be able to control the light if the internet or WiFi is down. This is a very cost effect solution too, versus hiring a licensed electrician to install a dimmer switch connected it to a particular socket in your home, not to mention that it's then just a light on a dimmer. Unless you put in a connected dimmer, a standard dimmer switch offers no remote control from your smartphone, no timers and no voice control with Amazon Echo, Google Home or Siri via HomeKit. If you're renting, swapping out installed wall switches is not something we recommend and it may not even be an option for many. The Lutron Connected Bulb Remote solves this particular problem by communicating wirelessly via ZigBee radio, directly with a single or multiple bulbs. Take a Philips Hue White A-19 Bulb, pair it with a Lutron Connected Bulb Remote, and even though Philips support staff might tell you otherwise (because they have their own remote they want you to buy), the pairing with Lutron's Connected Bulb Remote works really well, no hub or internet required. 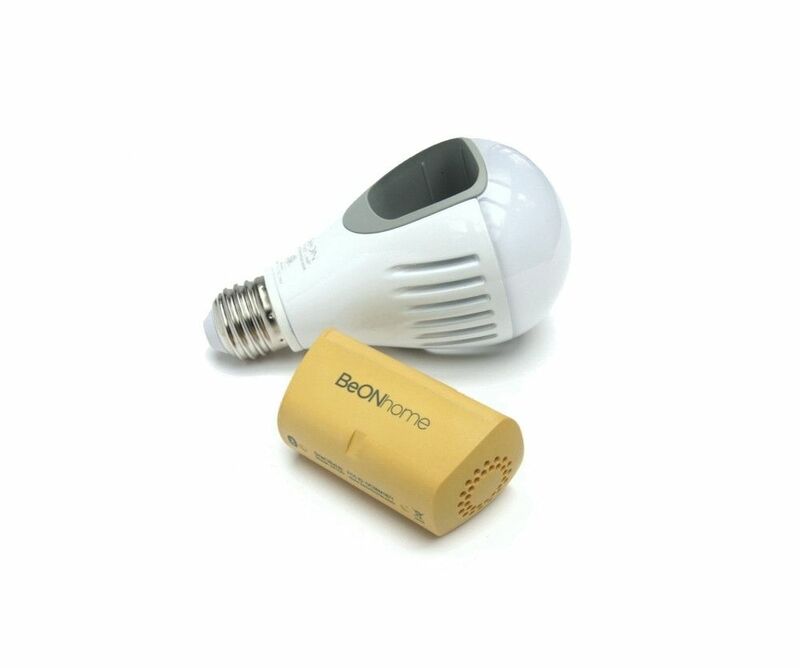 The two together give you a smoothly dimming bulb with a pleasing warm light. Admittedly this combination is more expensive than the Hue Wireless Dimming Kit, but we think the look of the Philips remote clashes too much with the standard North American wall switches and find the design bulky and unappealing. It's even possible to use a Lutron Connected Bulb Remote in combination with the Philips Hue Bridge for control of your Hue White bulbs. Click here to find out how to trick the Philips Hue Bridge into accepting a Lutron Connected Bulb Remote, so the two don't fight over who gets to pair with the bulbs. Where this mix falls short is when you press the top button on a Lutron Connected Bulb Remote to turn the light on. With a Hue remote switch and a Philips Hue Bridge, you can configure the ON button to activate a "Scene", turning the light on to any level available. Not so with the Lutron Connected Bulb Remote, sending blinding light to your eye's in the middle of the night if you forget. So you have to learn to press the up arrow instead and then you're able to gradually increase the light to your liking. But, it won't stay that way when you turn the light off. If you press the top button, you'll again get 100% light from the bulb. One work around is to pair the bulb and remote with a Wink hub and then use the remote with Wink Shortcuts instead of as a bulb remote. The only problem is you then loose the ability to dim and are instead left with four preset levels. So while it is possible today to have an inexpensive solution for controlling multiple connected LED bulbs with a single remote or multiple remotes, it's not yet accomplished in a perfect way. Here's a trick we really like. 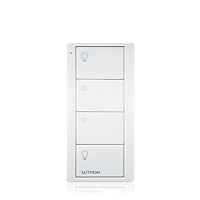 If you have a Wink hub, a Lutron Connected Bulb Remote can actually serve as a four button remote to trigger any single or multiple actions that are compatible with a Wink hub. For example, you can easily configure the remote to operate an automated window shade instead of lights or control your smart lock without walking up to the door or having to open an app on your phone. We should mention that we really like Insteon's similar approach to this issue, and they're able to address these scenarios with remotes, switches and keypads, but the cost to do so is higher and the options are limited to what Insteon can control. That means no ZigBee lightbulbs. When it comes down to design of the smart bulbs themselves, the industry is almost there in terms of usability, but physical design is still trailing far behind. 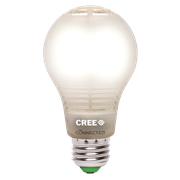 We're fond of the offering from Cree, called the Cree Connect LED Bulb. 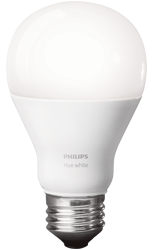 Just a few dollars more than the Hue White bulbs and its clever design addresses both the LED cooling and light distribution issues, while maintaining the standard bulb shape and appearance when covered by a shade or installed in a translucent fixture that does not show the bulb. Unfortunately the warm white doesn't match standard incandescent bulbs or LED lights that fall close to that color temperature, and they do not dim smoothly from the Lutron Connected Bulb Remote (a pairing which is actually suggested on Lutron's packaging for the product). 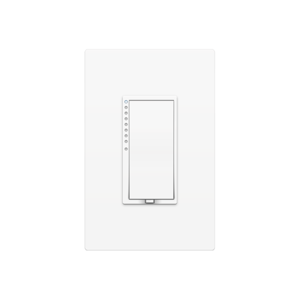 Insteon and the Lutron Caséta approach to a connected light switch we think are near perfect, albeit more expensive than a ZigBee lightbulb and remote. Insteon switches are able to not only control the lights they're physically wired to, but the switches can be programmed through either setup at the switch or via the Insteon app and hub to act as controller of other Insteon switches, as in a virtual 3-way or 4-way lighting scenario. They hold all their settings until reprogrammed, even remembering the last dim level, as well as how fast or slow a light should turn on and off. Like the Lutron Connected Bulb Remote they can operate with or without a hub and internet connection, making them a more familiar lighting experience that will always pass the babysitter test. Connected switches really shine with their very responsive and reliable designs, but the disadvantages are in hardware cost, skilled installation is required and they need a neutral wire to operate which leaves owners of older homes little choice beyond an even more expensive installation or special connected switches that can only operate with incandescent bulbs. There's a lot of room for further innovation in the connected lighting space, companies like BeOnhome are proving that, but the ideas are trapped in such tall silos that innovation is only trickling to the market, one design generation at a time. [Update] - The landscape is beginning to change with the introduction of Sengled's Element and Element Touch, the first ever dimmer compatible smart bulbs. We're pleased that someone has taken the first step toward addressing this retrofit issue and look forward to the idea catching on with a larger variety of bulb designs and manufactures. Please leave us your comments or questions and do join us in the discussion on Twitter @smarthomeprimer where you'll find us posting about the latest news in IoT and smart home innovations.